After planting of padi seeds during nuruk, waiting for the shootlet to grow and weeding the land, there is nothing much to do on the padi farm except to watch the padi grow bigger by the day. 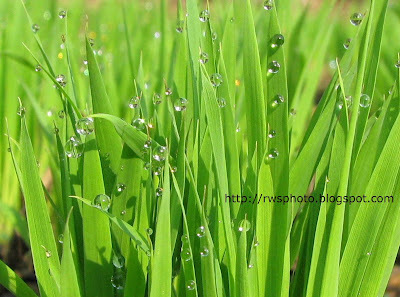 In addition to that, it is also a rainy season and padi farmers during this period are quite a idling lots. 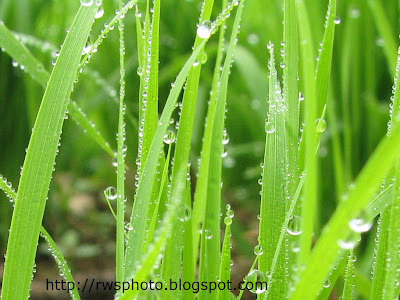 Rainy season usually starts from late November to end of February. 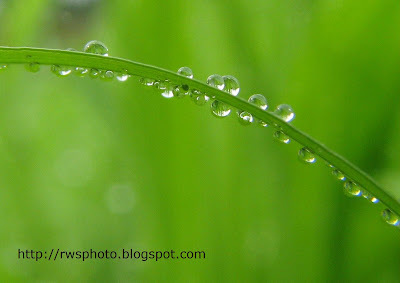 So, if you have a camera, the most logical and rewarding activity is to snap some macro shot of the padi plants. 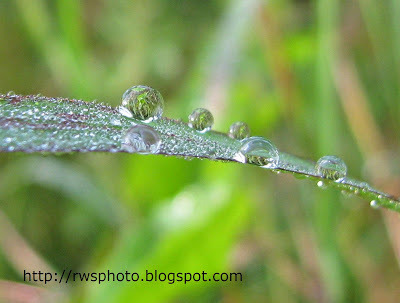 An interesting composition is to take close up shot of morning dews on the padi leave blades. It's real. Water marbles on padi blades. Water marbles or waterdroplets stick to the blades when the padi leave is young as the leave have plenty of tiny "furs". Waterdroplets sticking to the padi leave blade. 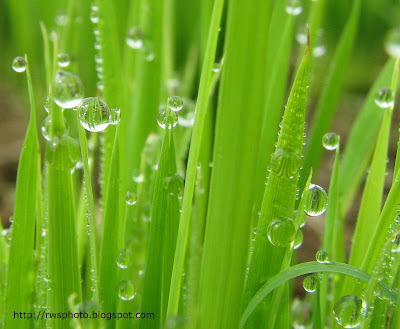 More macro shot of morning dew on padi blades. Big water marbles, tiney water marbles.